The Office of Student Organizations and Activities has started a new campus tradition of awarding and recognizing individual students and our student organizations by creating the Lead Blue: Student Organizations Award Ceremony. The Lead Blue Awards will recognize the successes and accomplishments of student organizations, advisors, and student leaders. 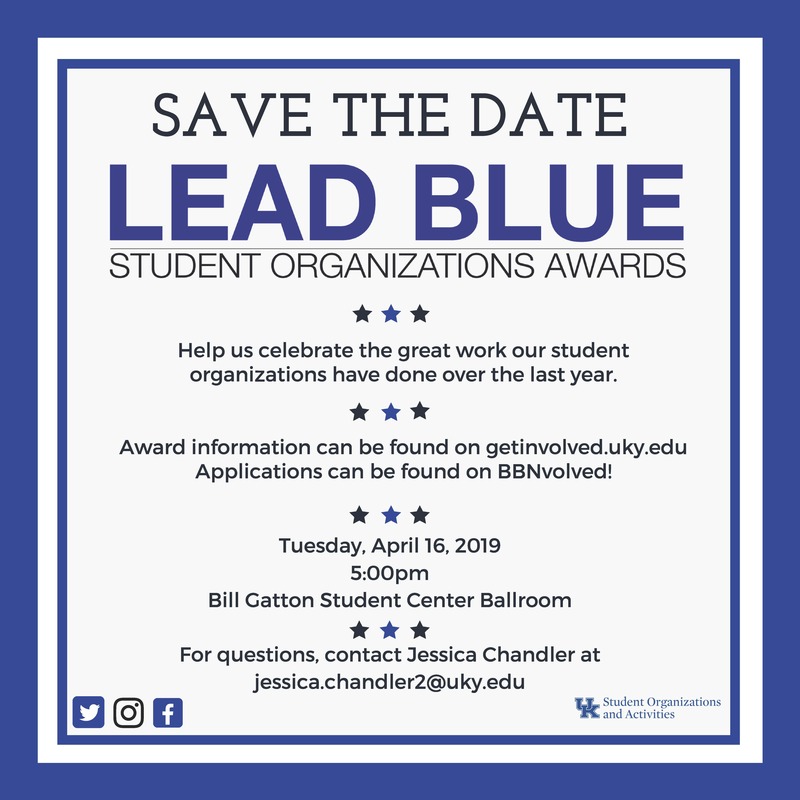 The Lead Blue Awards will be held on Tuesday, April 16, 2019 at 5:30pm in the Gatton Student Center Ballroom A.